EP Record - Out soon! We at Doom towers are proud to have our next release on the Spinout Nugget label. 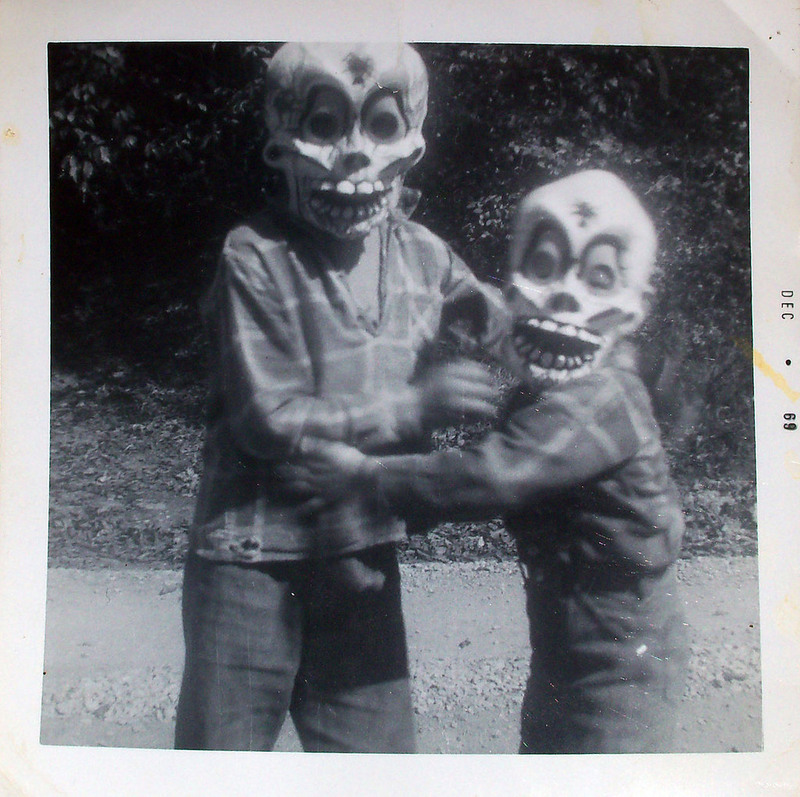 The 4 track EP will be limited to 500 copies and all will be individually numbered. 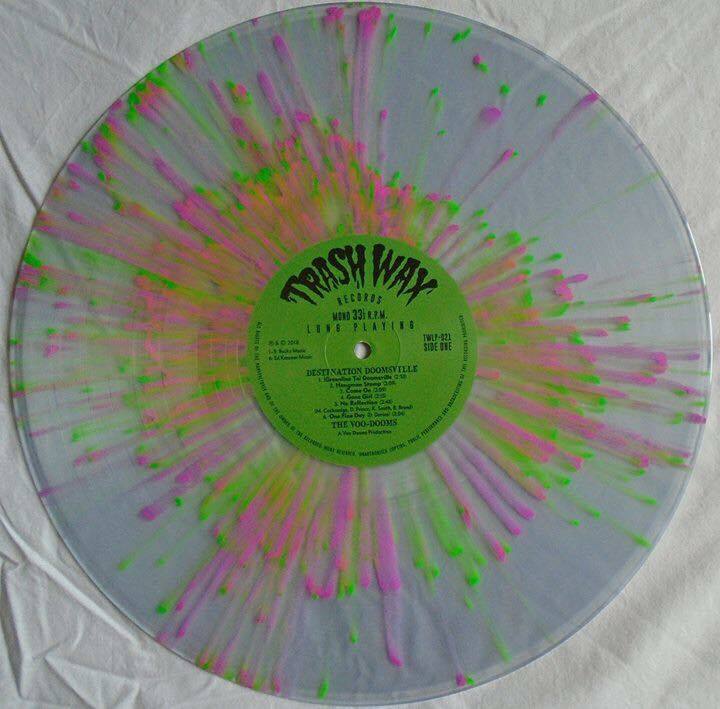 There will be only 200 copies in 'Toxic Green Slime Wax' (with only 100 of these having a picture card insert) these we guarantee will sell out Doomishly quick . 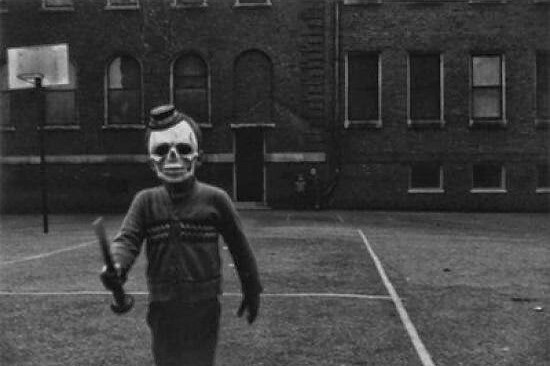 The rest in deathly black but still cool all the same. Release date to be clarified but we imagine the start of May 2019. 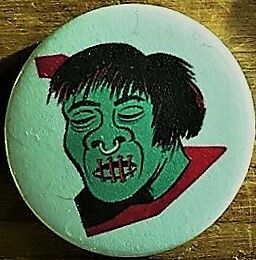 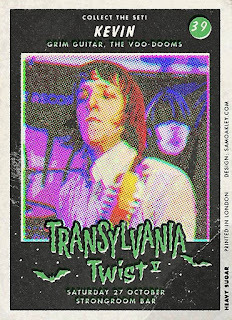 Here is the fiendish monster cover by 'Arthole' and a sample you tube clip below .......you lucky peeps! 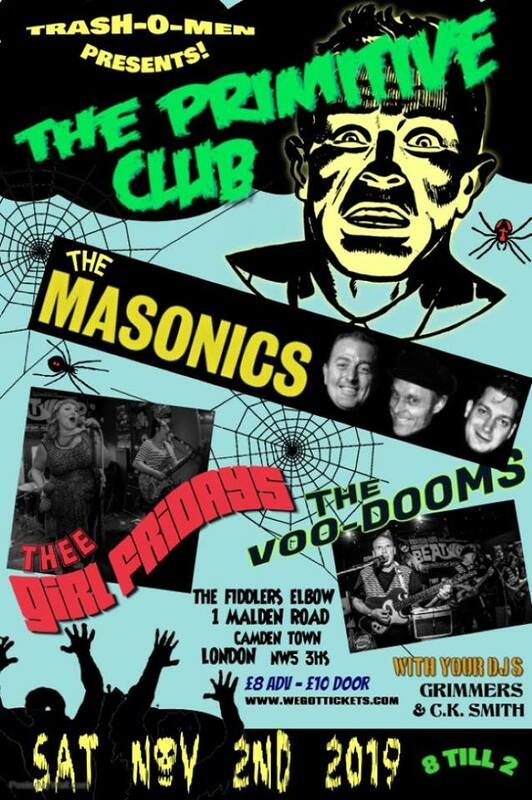 Fri - May 17th - The Fratcave, Hastings. 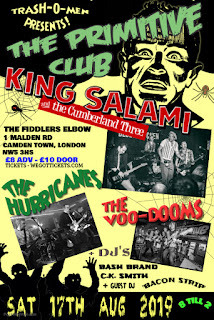 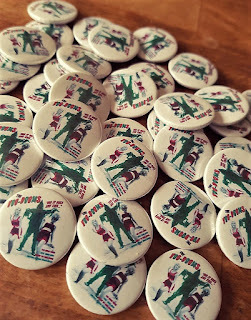 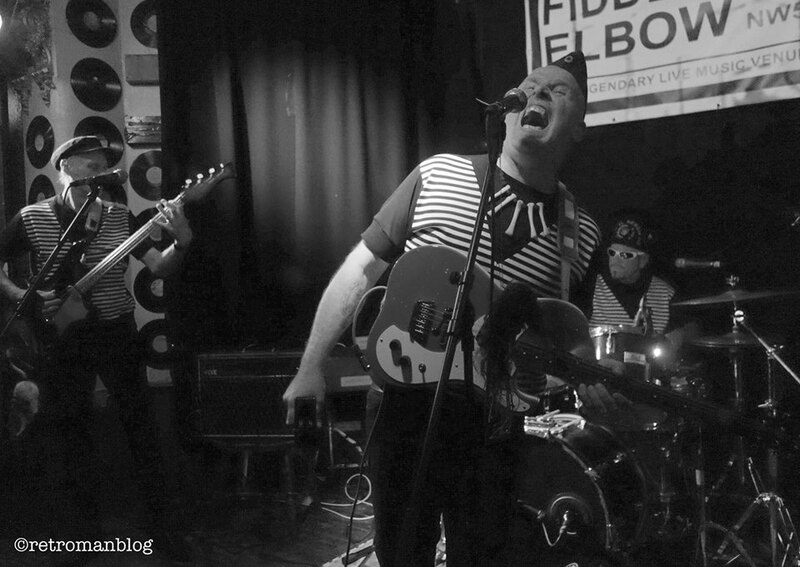 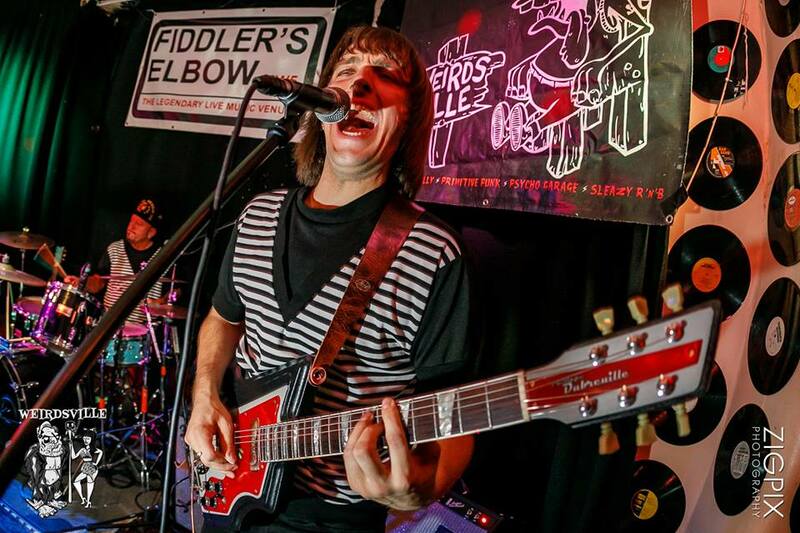 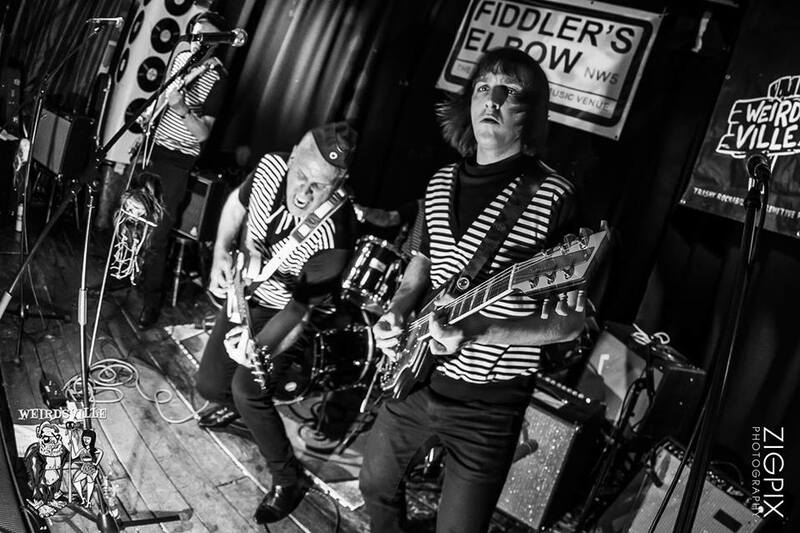 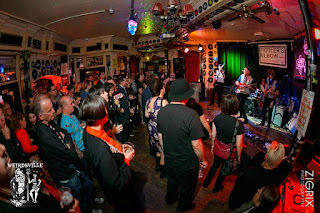 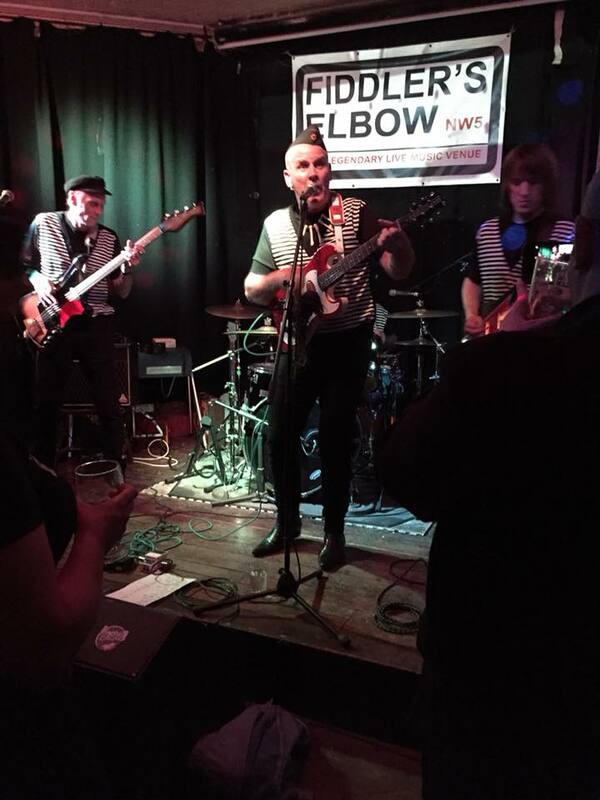 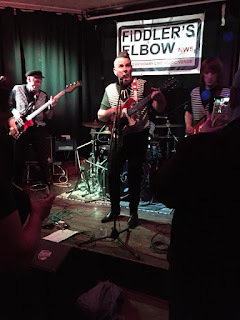 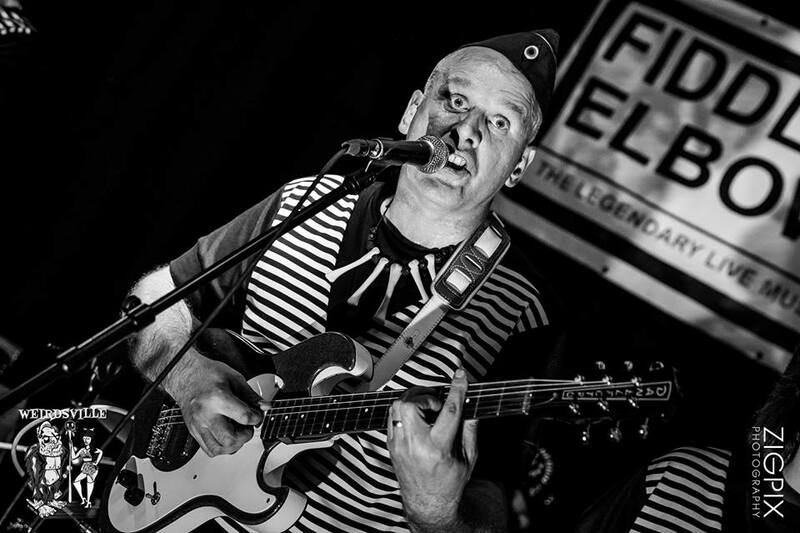 Sat - Aug 17th - The Primitive Club, 'The Fiddlers Elbow', Belzize Park, London + King Salami & The Cumberland Three + The Hurricanes. Fri - Sept 23rd Spinout Revue, Newquay, Cornwall. 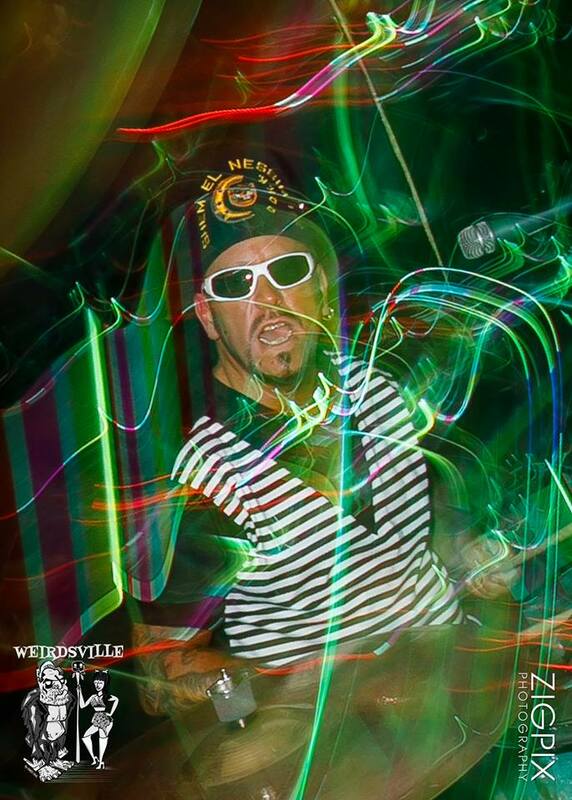 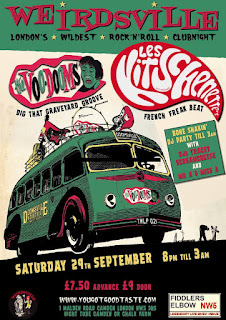 Sat - Sept 24th - Club Kongo, Taunton, Somerset + 2Bit Romeros. 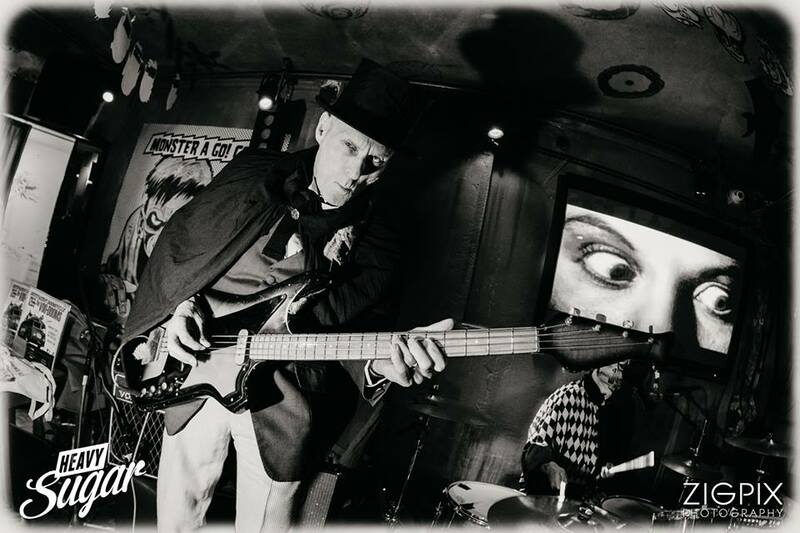 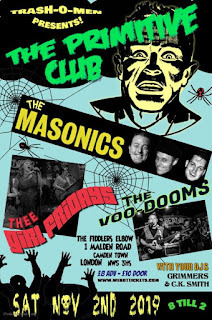 Sat - Nov 2nd - The Primitive Club, Belzize Park, London + The Masonics + Thee Girl Fridays . 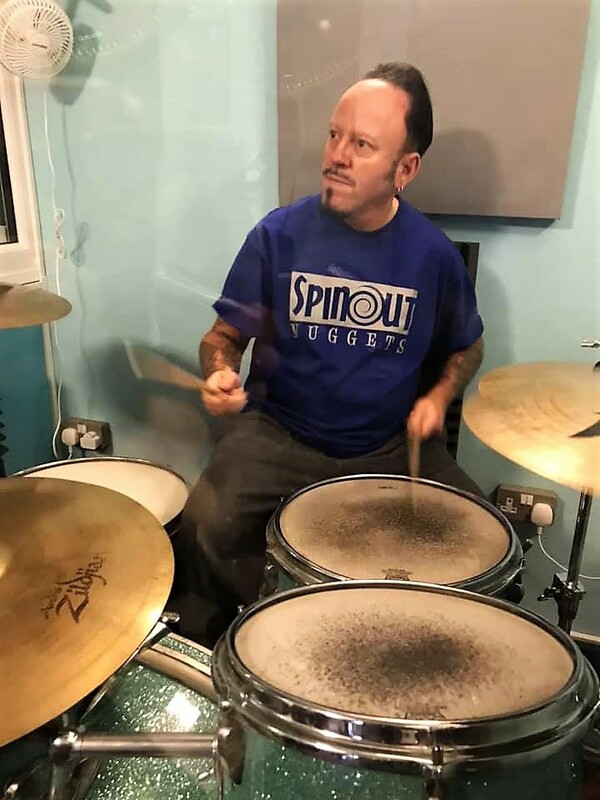 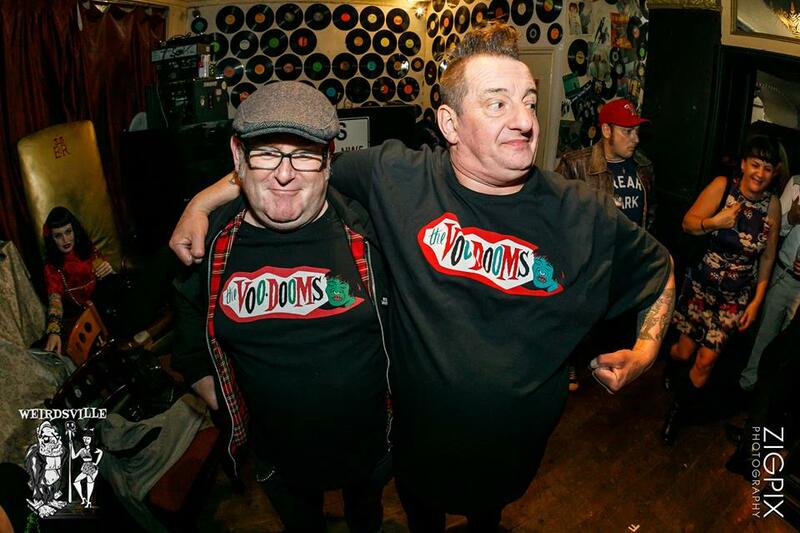 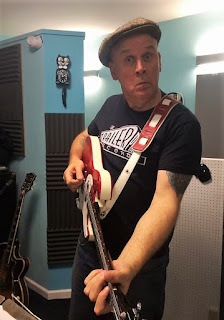 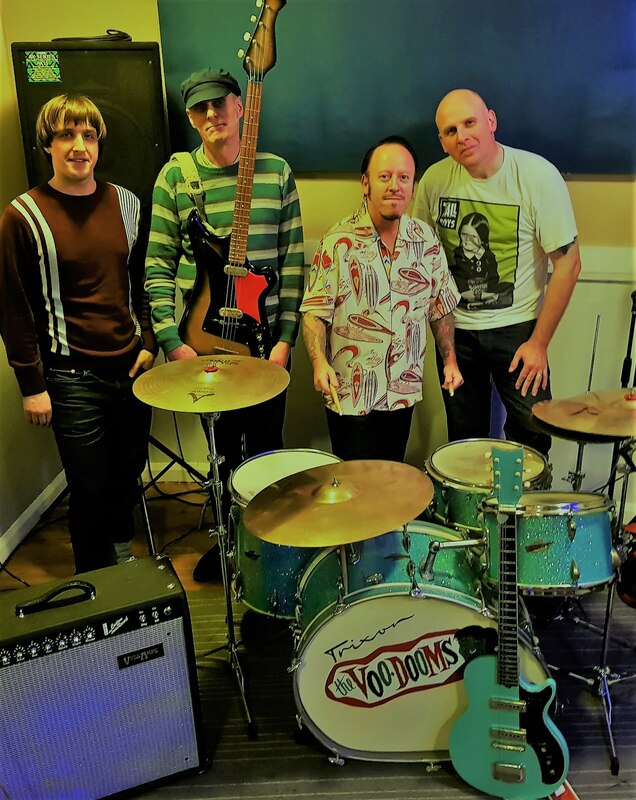 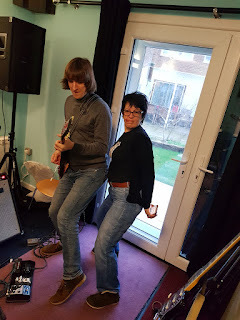 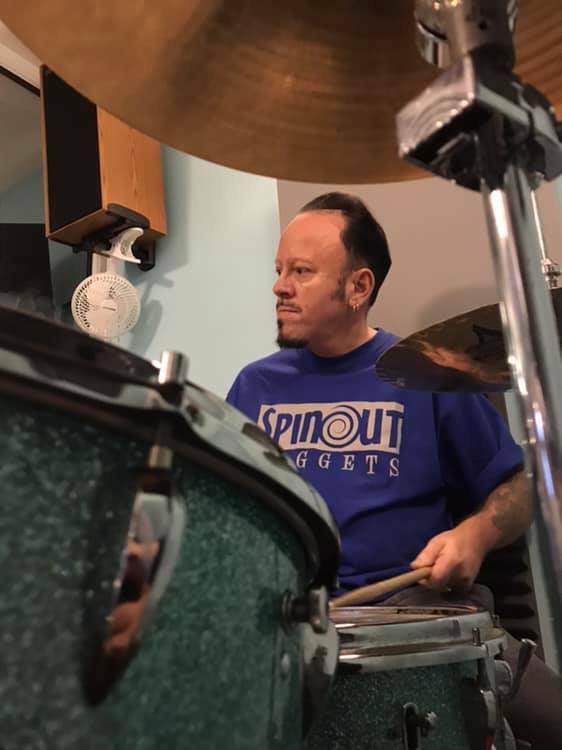 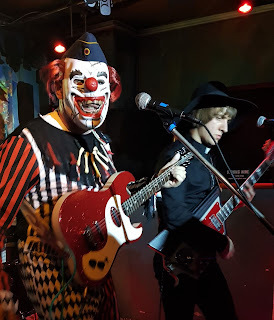 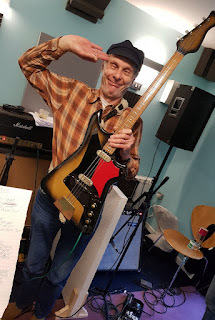 The Voo-Dooms ventured back into the studio at North Down Sound near Folkestone on the 12th & 13th Jan 2019. 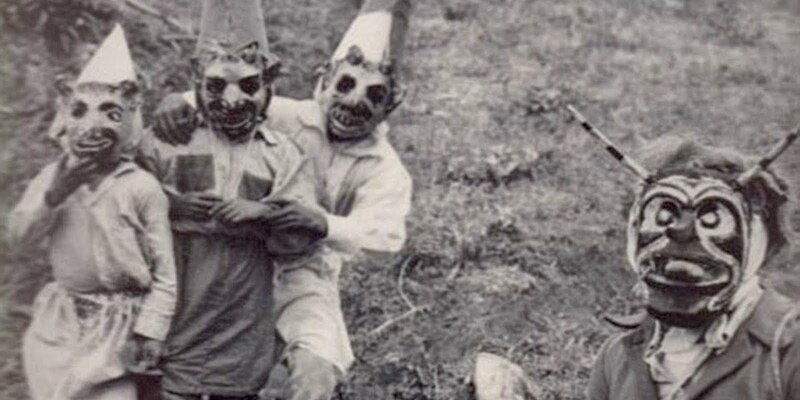 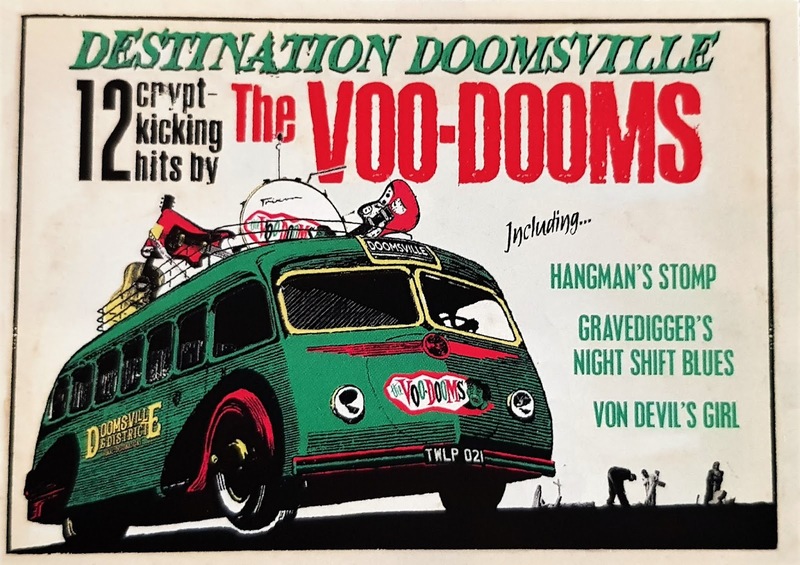 Four blistering tracks were laid with that spooky full on Doom sound. 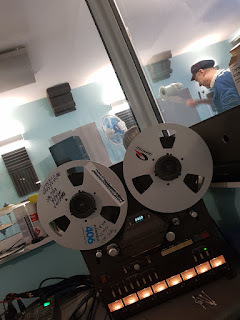 The tracks will be released very soon on vinyl! 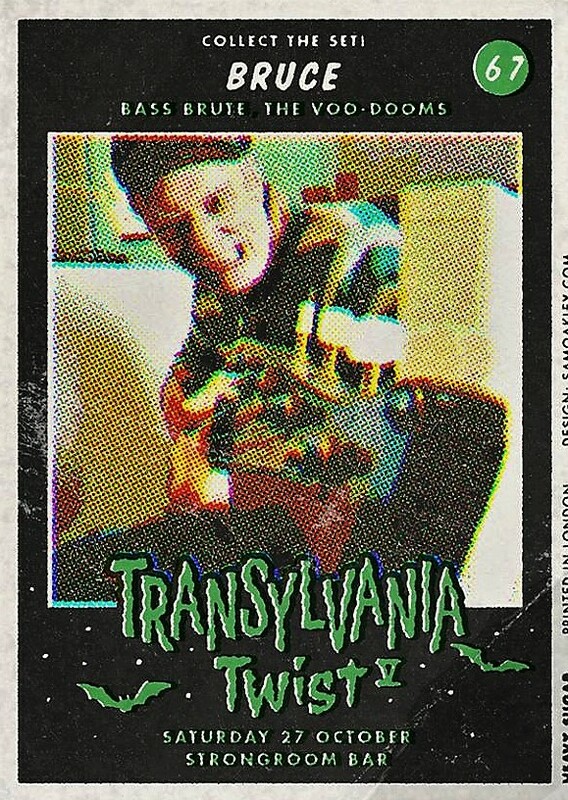 either as a 4 track EP or a straight single. 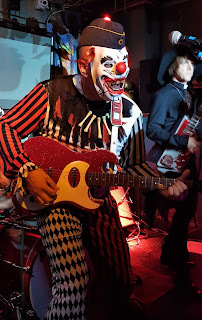 The tracks will be mastered in a few weeks and sleeve artwork is in the planning stage. 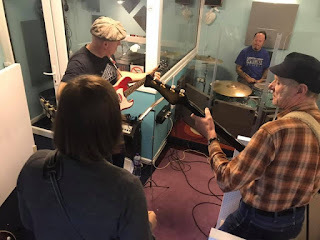 Anyway, here are some snaps from the recording session and standby for further news on release. Dave Prince laying down some doom beat. 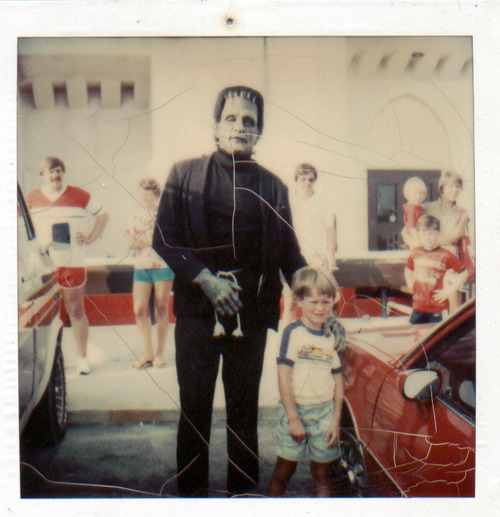 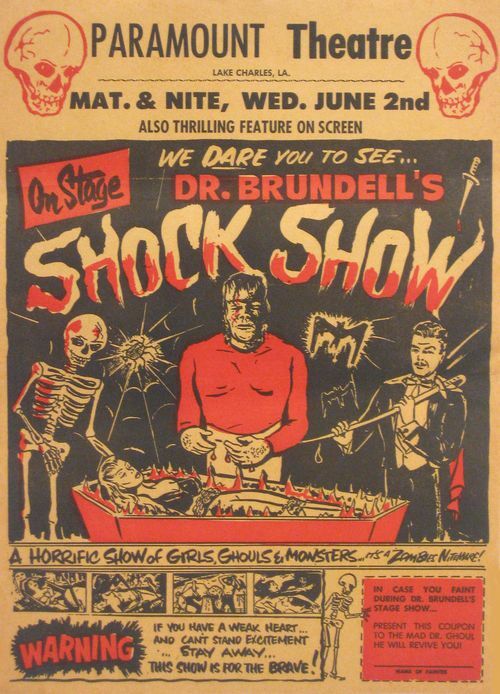 Dr Voo - Mr Bruce Brand! 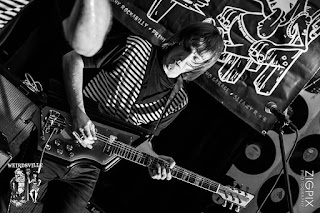 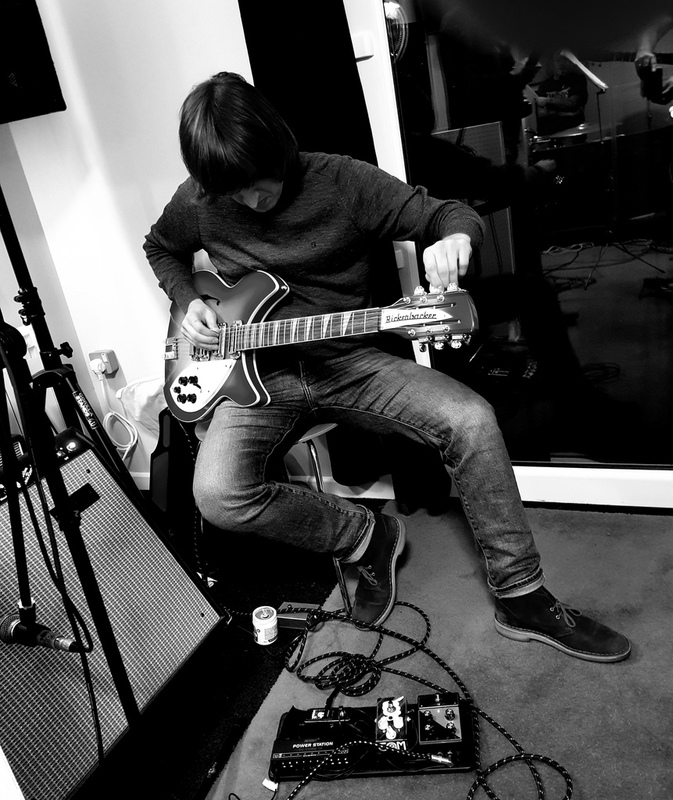 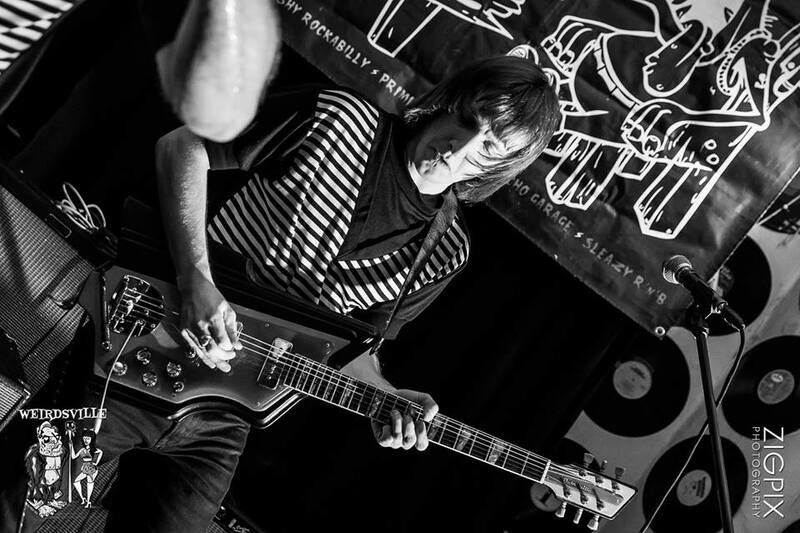 Kev Smith tuning the Ricky 12 string! 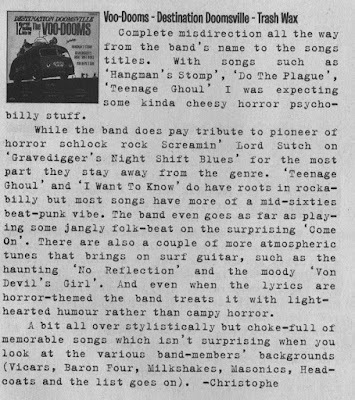 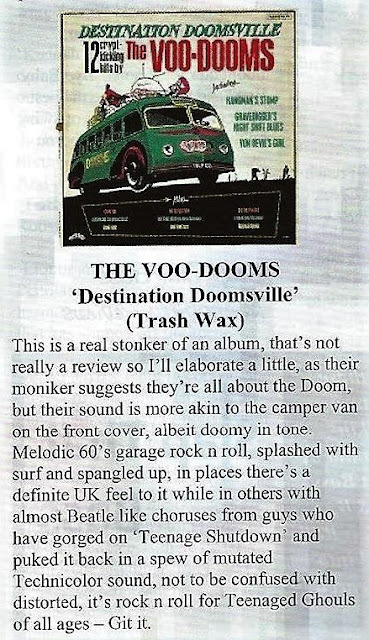 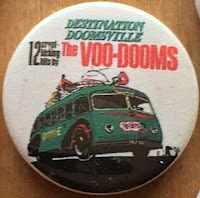 Destination Doomsville - The Press reviews! 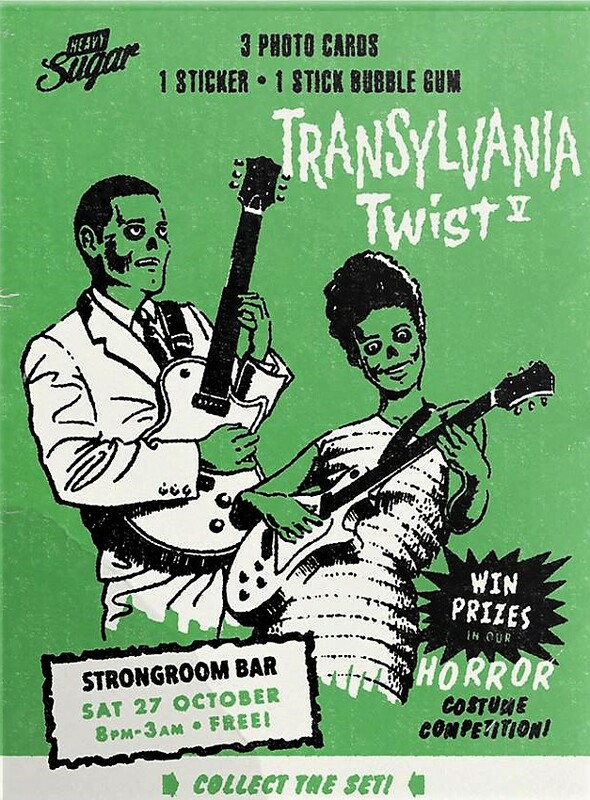 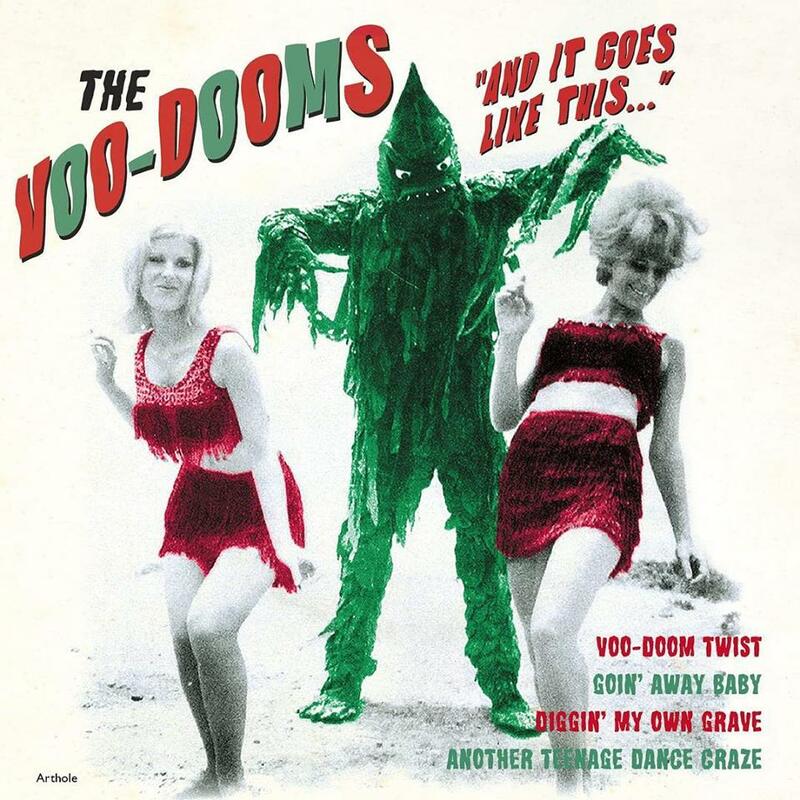 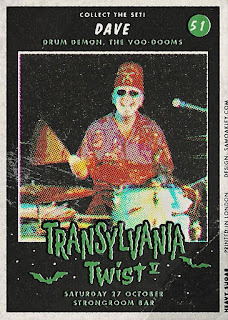 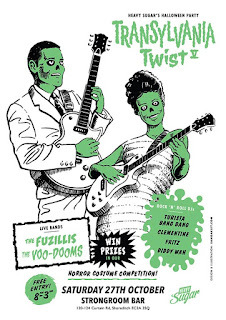 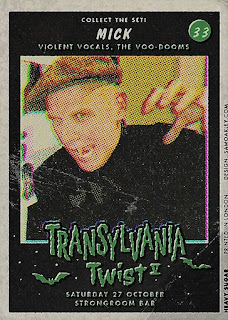 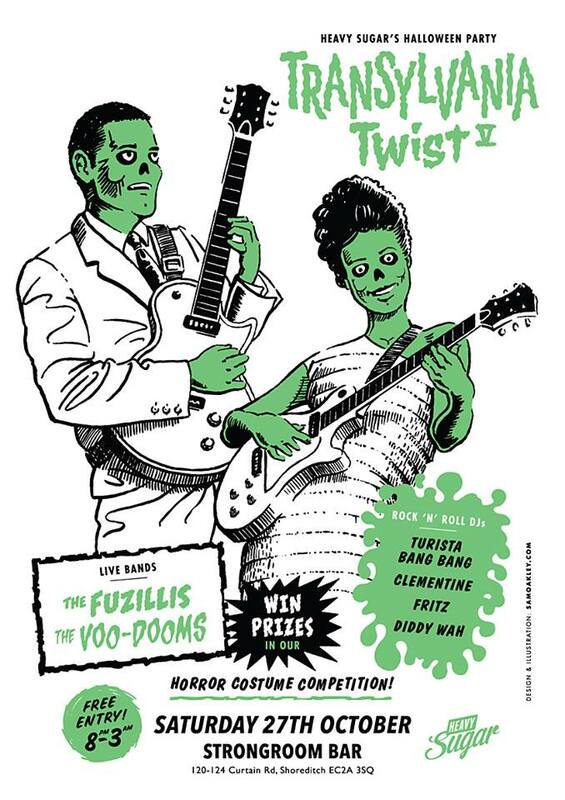 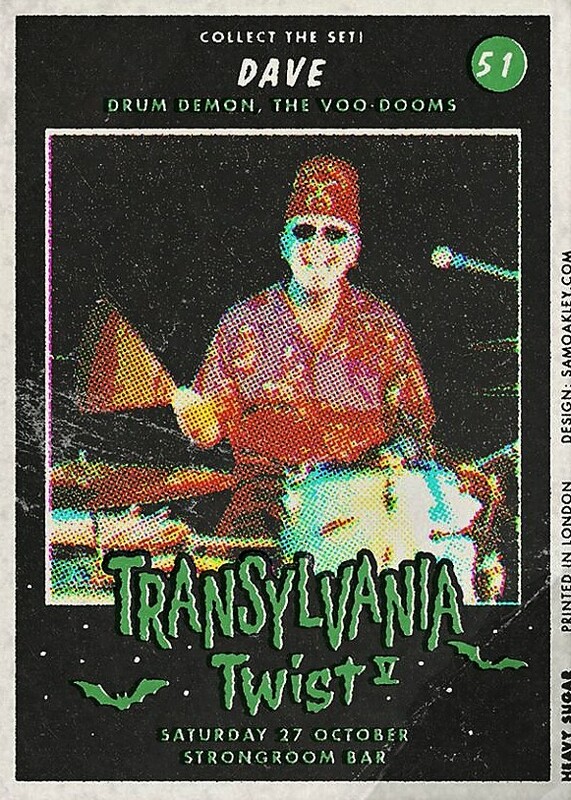 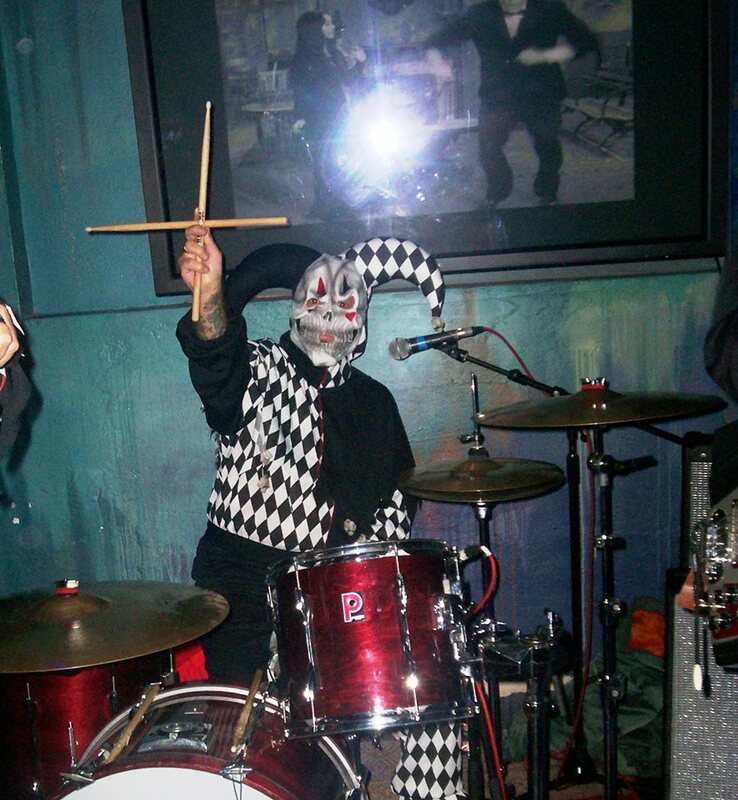 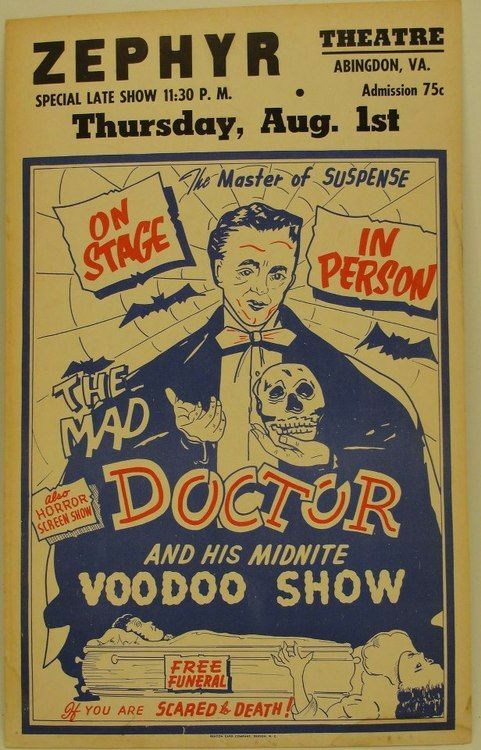 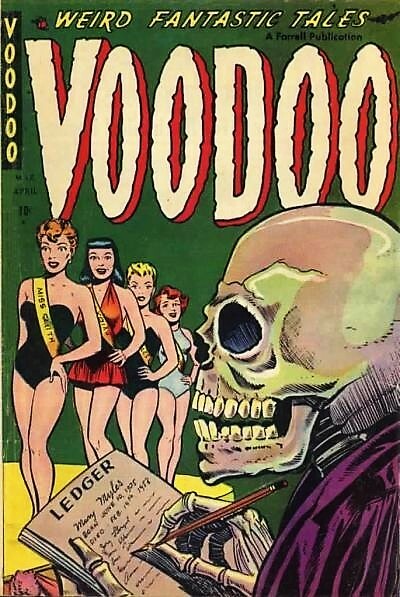 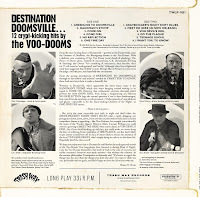 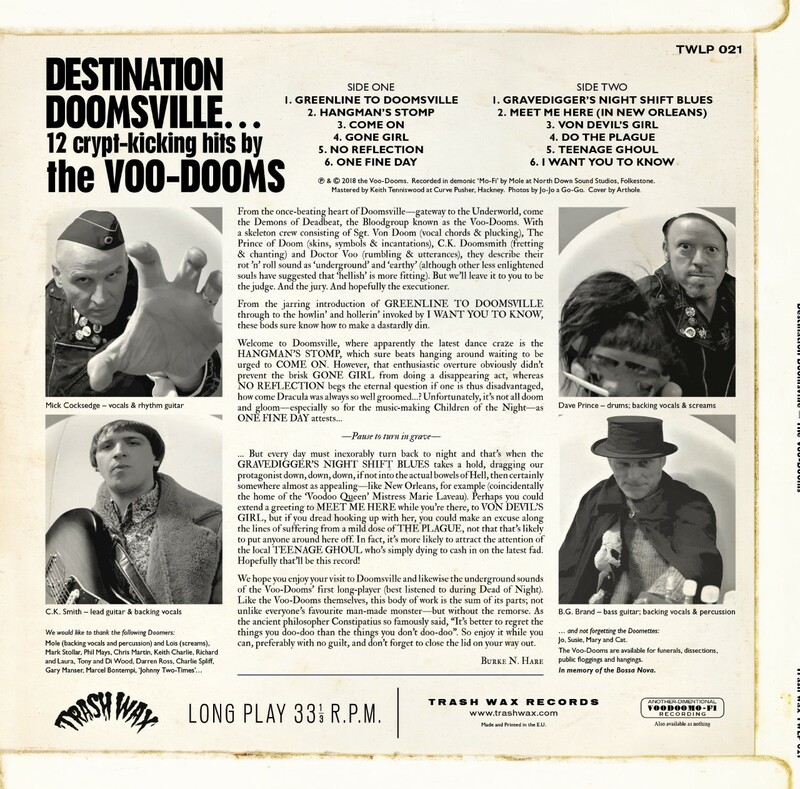 The Voo-Dooms - Transylvania Twist 5 . 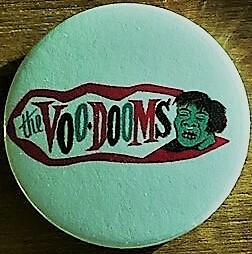 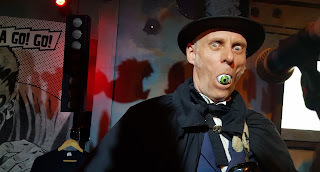 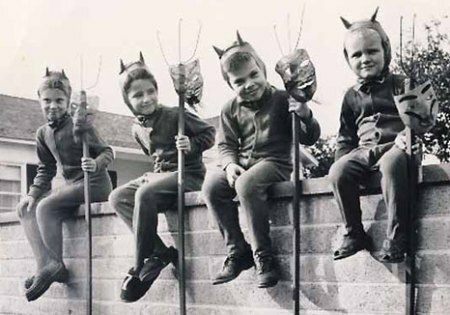 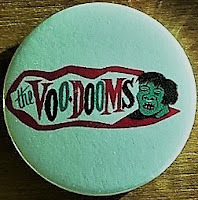 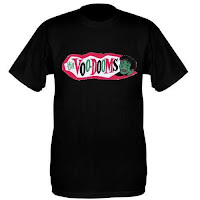 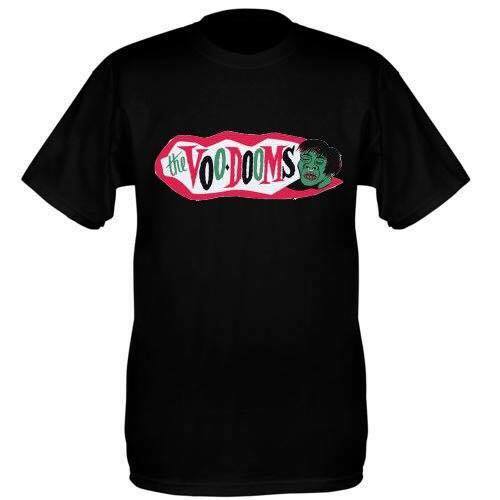 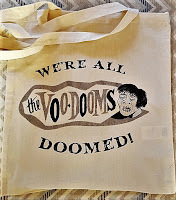 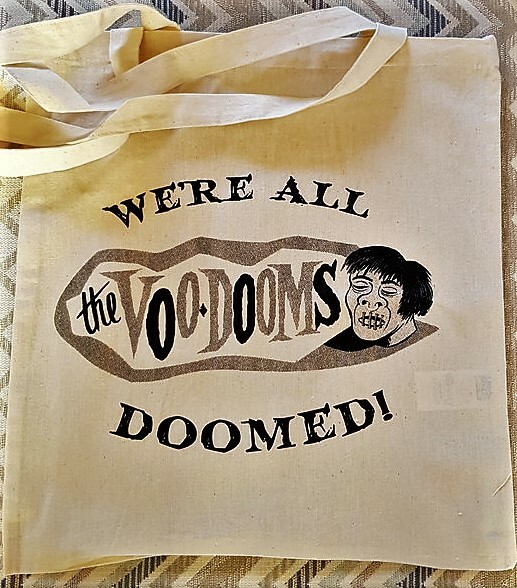 THE VOO-DOOMS - SCARY STUFF FOR ALL OCCASIONS! 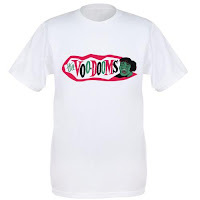 Contact - Cordwoody53@hotmail.co.uk for all your Voo-Doom needs!!! 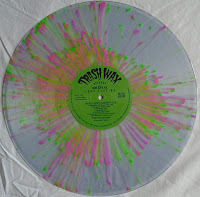 Splatter Vinyl (Limited edition) SOLD OUT ! 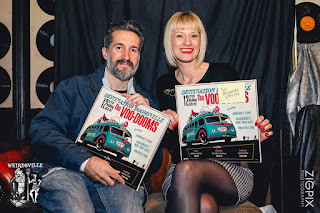 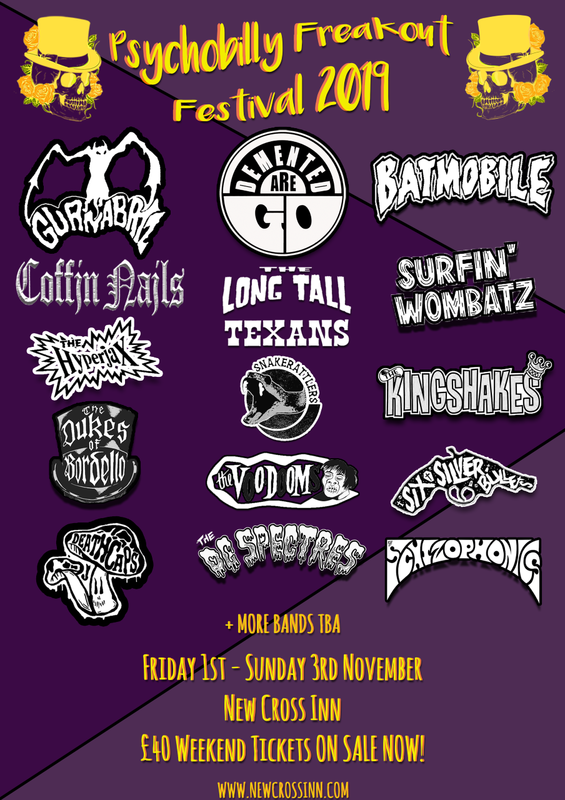 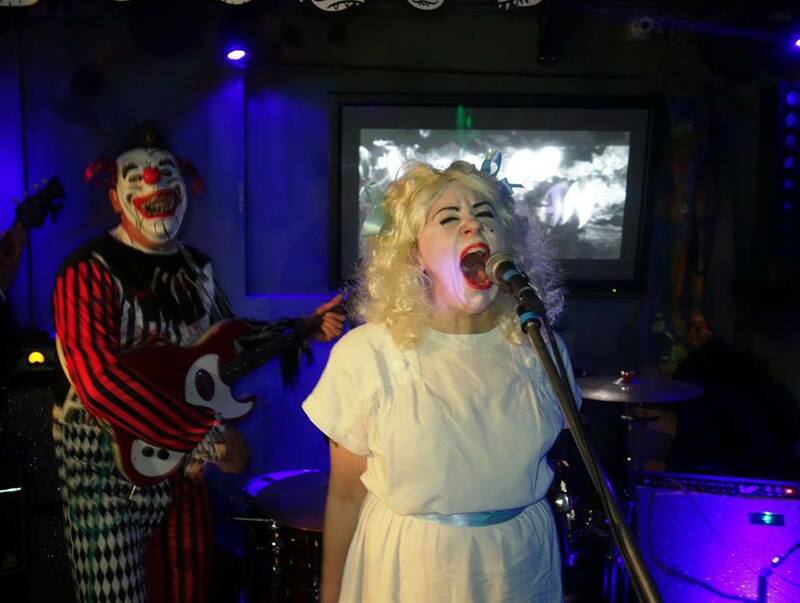 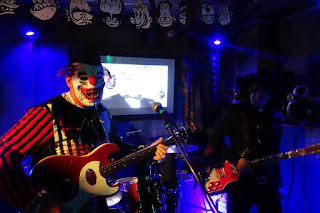 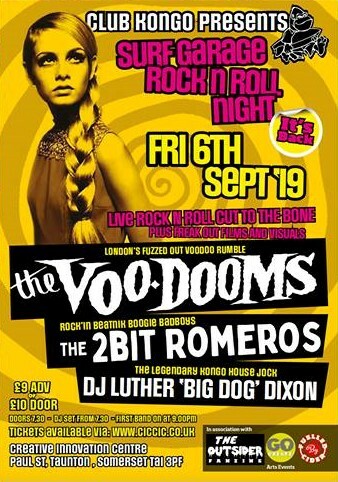 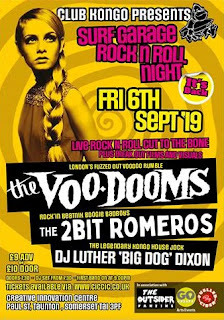 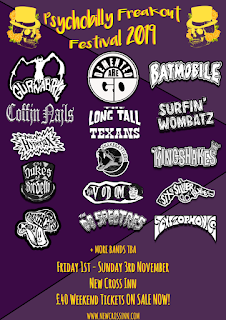 The Voo-Dooms - Gigs 2018 ! 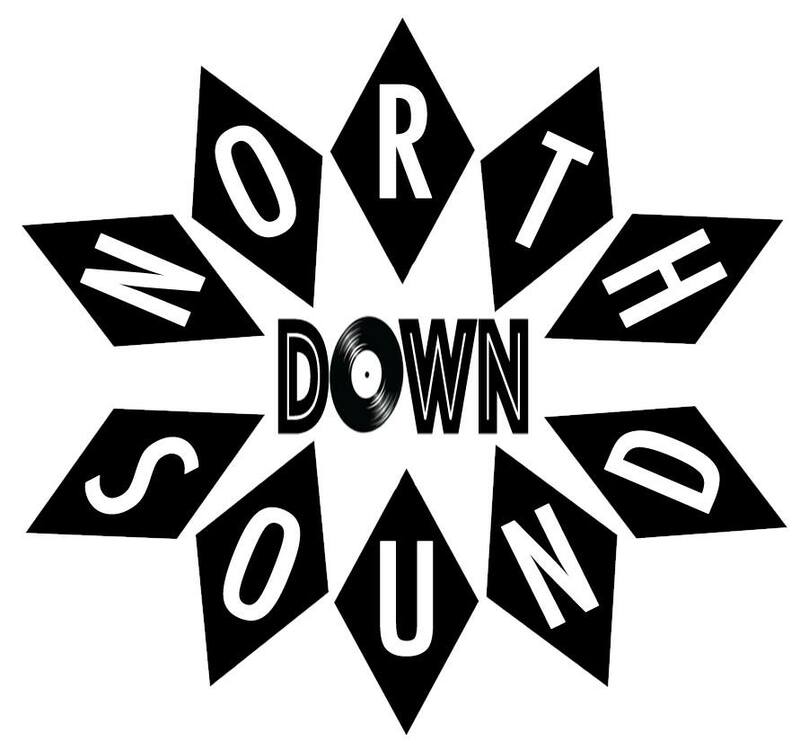 North Down Sound Album recording ! 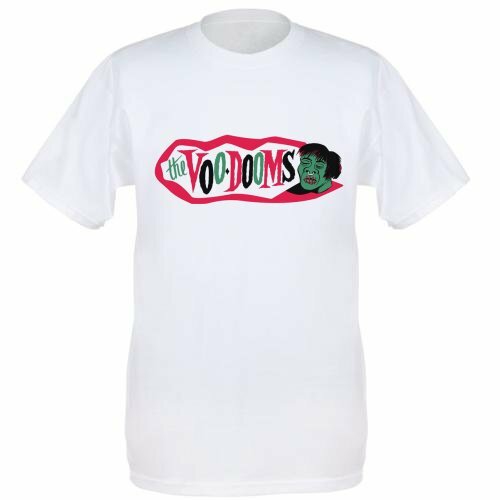 The Voo-Dooms are here ......... 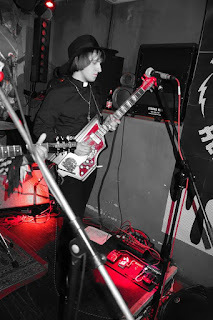 Hear us or be doomed !!! 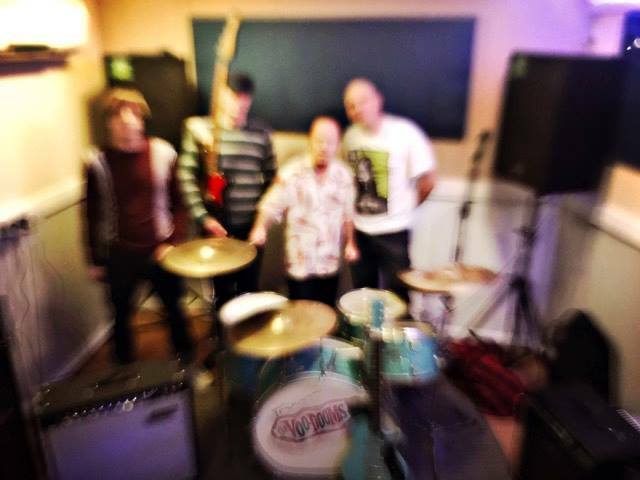 Shake head for focus ! 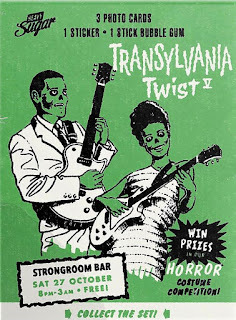 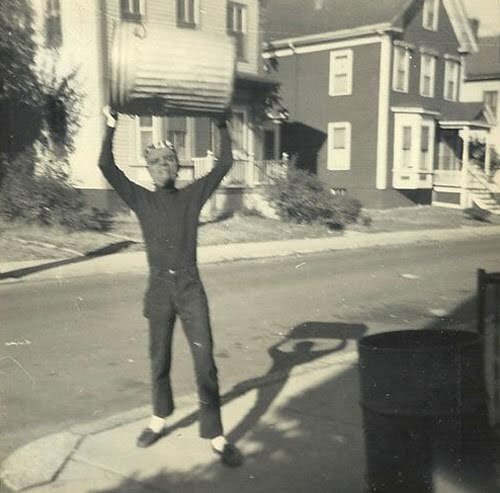 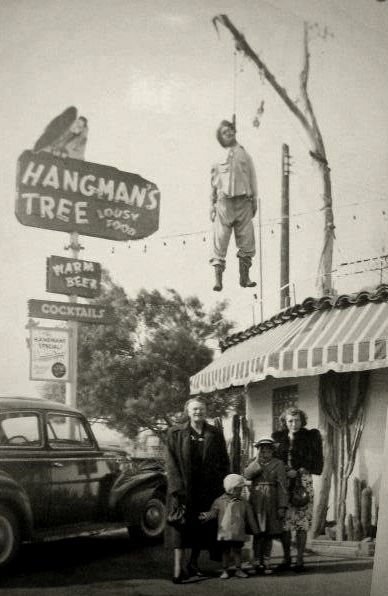 Vampira does the Hangman Stomp ! 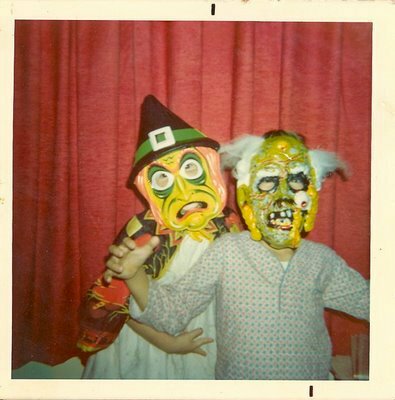 Beware the Cob Web girl ! 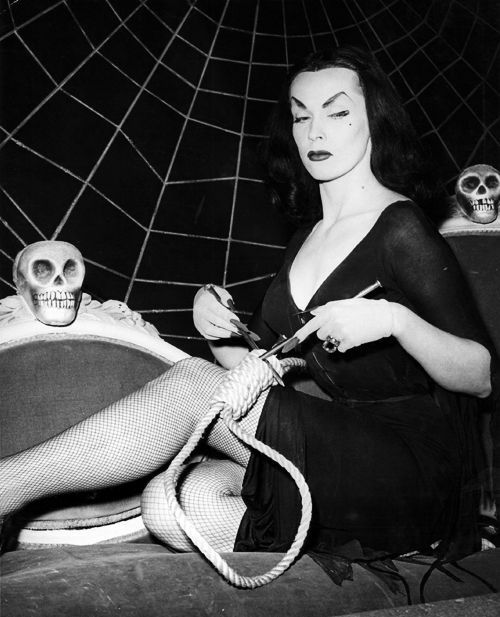 Vampira with Shrunken Head ! Behind you Miss Doom ! 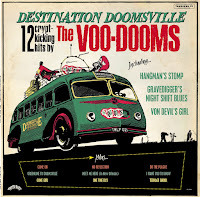 Voo Voo Doom Doom !